What’s Your Sign? 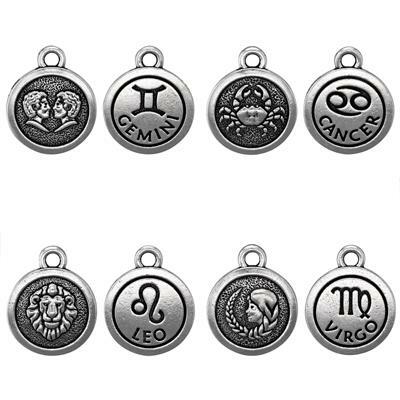 Our P2491SET – 12 Piece Zodiac Charm set - Cast Silver Plated Pewter, oxidized antiqued to bring out its details. 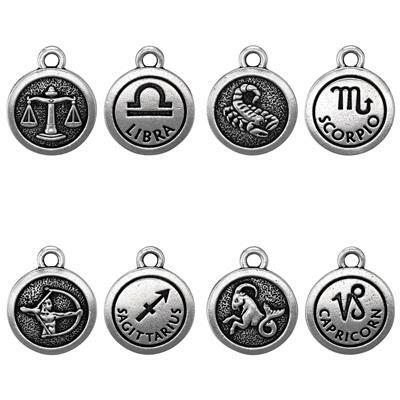 Contains one each of the individual Zodiac signs with the Zodiac image on one side – and the symbol and Zodiac name on the other. 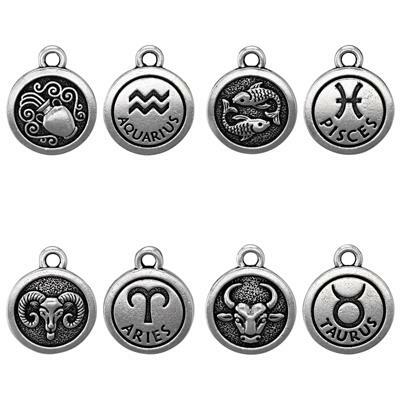 Don't miss our sterling silver zodiac charms set item SHZ. 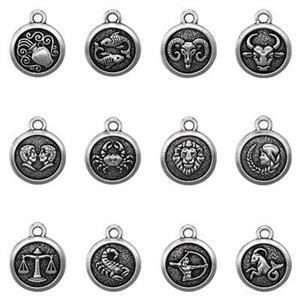 I love these zodiac charms. The quality is great - very nice pewter. I love that they are two sided with different images on each side. I was very happy to see that Halstead offers them in a 12-pack set. Great value for the price.